That’s Twitter, Google, the internet and Facebook. There’s no question these four revolutionary developments have forever changed the marketing function. Word-of-mouth has now become word of finger. A key difference: Word-of-mouth leaves an invisible trail in the ether. Word-of-finger leaves an electronic trail on the internet. In the past, nobody paid much attention to word of mouth, even though by some estimates it accounted for a majority of brand impressions. Today, however, the visibility of word of finger has mesmerized the marketing world. But will the skillful use of TGIF make you a good marketing manager? I think not. TGIF is only half the story. Linens ‘N Things didn’t go bankrupt because it didn’t make effective use of Twitter. It went bankrupt because it was a knockoff of Bed Bath & Beyond without a unique identity. DHL didn’t pull out of the U.S. market because it didn’t buy enough AdWords from Google. It pulled out of the U.S. market because it violated a basic law of marketing, the law of duality. DHL was the No. 3 brand in a category dominated by UPS and FedEx. Kmart didn’t go bankrupt because it couldn’t figure out how to use the internet to promote the brand. It went bankrupt because it was squeezed between Walmart at the low end of the mass merchandiser category and Target at the high end. Coca-Cola didn’t fail to build a leading energy-drink brand in three tries (KMX, Full Throttle and Tab) because it forgot to use Facebook to ignite the brands. It failed to build a leading energy-drink brand because it waited too long after the launch of Red Bull. Marketing can be divided into two parts: 1) marketing strategy; 2) marketing tactics. What’s more important? I don’t think there’s any question that strategy is by far the most important half of a marketing program. It’s like warfare, also a mixture of strategy and tactics. The weapons of war are equivalent to the media used in a marketing campaign. How often has an army won a war with better soldiers, better guns, better tanks, better aircraft? What wins wars are better strategies. In World War II, the Germans had the advantage of the better weapons, the better discipline, the most experience. Yet their leader, Adolph Hitler, was a rank amateur when it came to military strategy. Operation Barbarosssa, the code name for Germany’s invasion of the Soviet Union, was launched on June 22, 1941. Over 4.5 million troops invaded the USSR along a 1,800-mile front, the largest military operation in human history, in terms of manpower and casualties. By January 1942, it was obvious that the Soviet Union had repelled the invaders. Although the war dragged on for another three years, the Germans were never able to achieve the expected victory. The Germans’ strategic error was trying to fight on two fronts. On the West with the English and the Americans. On the East with the Russians. Ironically, 129 years previously, Napoleon made exactly the same mistake. He invaded Russia with 690,000 men, the largest army assembled up to that point in European history. It was the same old story. Trying to fight on two fronts (the English to the West and the Russians to the East) ultimately cost Napoleon his crown and his empire. Then there’s Japan which attacked the United States while still fighting a war in China. You might think that no intelligent business person would make the same mistake. But they do all the time. Take Lenovo, the Chinese company that bought IBM’s personal-computer operations. Now they’re trying to fight Hewlett-Packard and Dell at the high end of the PC market and Acer and Asustek at the low end. Not a good strategy. Take Citigroup, one of our largest financial institutions with assets of $1,938.5 billion. Yet Citigroup managed to lose $27.7 billion last year and needed $45 billion in government bailout money to stay afloat. What happened at Citigroup? Same old story. It started with Citibank, its consumer banking operation. Then it bought Travelers (insurance), Smith Barney (stock brokerage) and Salomon Brothers (investment banking.) In other words, Citigroup started as a bank in competition with the other major banks in America and then tried to fight on four fronts: banking, insurance, stock brokerage and investment banking. Not a good strategy. Getting bigger is not a marketing strategy. Yet it’s the only strategy many companies seem to be using today. Line extensions, mergers, acquisitions, multiple price points and other techniques are obviously designed to bulk up a company’s sales. But how do these techniques affect the brand’s position in consumers’ minds? In general, they weaken it. Citigroup got bigger and weaker because the brand was stretched in so many directions. As a result, the brand lost its meaning. General Motors made the same mistake. Every one of its brands was stretched to encompass a wide range of vehicles. As a result, the brands lost their meanings and the corporation went bankrupt. I repeat. Bigger is not a strategy. In the past four years, General Motors sold more than 35 million vehicles worldwide, more than any other automobile producer. Yet in the last four years, General Motors lost $82.1 billion. If your brands don’t stand for anything, you have to sell your products on “price.” And it’s very difficult to make money by selling your products cheaper than the competition. In our work with many companies, we find similar thinking. Almost every company wants to get bigger in order to increase sales and profits. And they take steps in that direction by branching out into many different businesses and many different markets. That’s not a strategy. That’s a road to mediocrity. What does work in marketing? Dominating a category. Nothing is as effective in marketing as dominating a category. For 106 years, Pepsi-Cola has been trying to overtake Coca-Cola without success. It’s extremely difficult to overtake an established leader. That’s why the most important objective of any brand is to establish a clear-cut leadership position in consumers’ minds. In China, according to the research firm, Euromonitor International, Pepsi-Cola has 23% of the soda market versus Coca-Cola’s 22%. In other words, the two brands are neck and neck. That’s an unstable situation. There are very, very few hydra-headed categories. That is, categories that have two dominant brands with virtually identical market shares. Sooner or later, one brand will get its nose in front and the battle will be over. That would be devastating for the loser. It would forever condemn the losing brand to a second-place position. Look at the fast-food business. McDonald’s is perceived as the leader with 13,918 outlets in the United States. Burger King is buried in second place with only 7,207 outlets. Furthermore, McDonald’s has taken its leadership position in the United States to build a large, profitable global corporation. Last year, for example, McDonald’s had $23.5 billion in sales. $4.3 billion in net profits. And a net profit margin of 18.3%. Burger King, on the other hand, had just $2.5 billion in sales. $200 million in net profits. Or a net profit margin of 7.9%. Conventional wisdom says that McDonald’s is more successful than Burger King because they have better products and better service. Nonsense. McDonald’s is more successful than Burger King because it is perceived by consumers to be the leader. And consumers always associate the leader with better products and better service. What should Burger King do? Too many marketing gurus have only four answers to that question: Twitter, Google, the internet and Facebook. 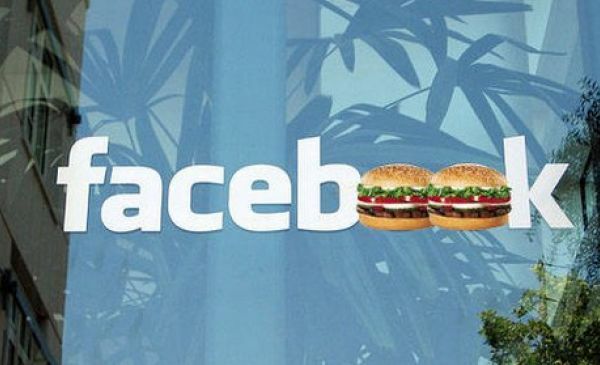 Actually, Burger King has had a number of widely admired TGIF successes, including the Subservient Chicken and the Facebook Whopper sacrifice. But why doesn’t Burger King consider a change in strategy? Why doesn’t Burger King use one of the most powerful of all marketing strategies for a No.2 brand: Be the opposite of the leader. Year after year, Burger King has violated this powerful principle. Instead of being the opposite, they emulated the leader. * McDonald’s introduced Ronald McDonald. Burger King introduced the King. * McDonald’s introduced Chicken McNuggets. Burger King introduced Chicken Tenders. * McDonald’s put in playgrounds to attract kids. Burger King put in playgrounds to attract kids. * McDonald’s added a dollar menu. Burger King added a dollar menu. In spite of all this emulation, Burger King keeps falling behind McDonald’s. Ten years ago, the average McDonald’s in America did $1,514,400 in sales versus $1,117,200 for the average Burger King. In other words, McDonald’s had a lead of 36%. Last year, McDonald’s lead was 68%. $2,158,900 versus $1,288,600 for Burger King. Why not be the opposite of McDonald’s? Look at In-N-Out Burger, a West Coast hamburger chain. McDonald’s has 81 food items on its menus. In-N-Out Burger has just four: hamburger, cheeseburger, double-double and French fries. You might think the average McDonald’s would greatly outsell the average In-N-Out Burger unit, but it doesn’t. Last year the average In-N-Out Burger unit did $2,252,300 in sales. In business, there’s never any one way to do anything. Take Walmart, the most successful retail chain on the planet. The average Walmart unit in the United States stocks some 150,000 items and does $72 million in annual sales. The average Costco unit stocks some 4,000 items. The full line or the narrow line? Which is the better strategy? They’re both equally valid. What doesn’t work is trying to stay somewhere in the mushy middle. Nor does a narrow line necessarily mean lower sales. The average Costco unit last year did $129 million in annual sales, almost 80% more than the average Walmart. Too many companies emulate the leader and try to be better, when they should avoid the leader and try to be different. It takes a storm to determine which boats are seaworthy and which boats are not. It takes a recession to determine which brands are strong and which brands are not. Chevrolet, Ford, Chrysler, A.I.G., Citigroup, American Airlines, United, Delta, U.S. Airways, Sears and dozens of other brands are weak. And the skillful use of Twitter, Google, the internet and Facebook won’t make a weak brand strong. First things first. And the first thing to do is to get your strategy right. Excellent post Al. The lesson is simple, be different or your brand is going to die. I think the rental movie industry is a great example of the power of being different. Blockbuster was the established leader for years; then came Netflix and now Redbox is having great success. I’d add that two additional ways businesses blow it is with how they treat their customers and how they communicate with them. These are such ripe areas for companies to really set themselves above their competition, yet many seem content and consumed with cost-beating or “Me Too!” -ing, as you’ve illustrated here. How very unoriginal. Wouldn’t it be refreshing if a company said “we put our customer first” and actually meant it? Psh…I’m dreaming. But on to your point of Social Media not being the answer for weak brands, you’re right on. Consumers can see right through Shinola of that kind. These brands will remain what they are: the cheapest, the biggest, hardly innovative, and sadly, never the Best. Absolutely fantastic post Al, I just shared this with my online network. However I think there is more to social media then just looking at external customer facing approaches. What about using social media internally to reduce costs, time spent working on projects, reducing inefficiencies/etc this is the whole E2.0 push. That being said we also need to distinguish between consultants/agencies that tout social media as the end all be all vs companies that actually approach agencies asking for SM strategies (because they think SM can save the business). Great examples here and a fantastic post! Exactly. It is about differentiating first and then focusing. Focus, to some, is too limiting and cuts you off from the myriad of opportunities that exist with broader audiences. But, not focusing dilutes a brand’s strength, especially if it didn’t have a strong differentiated position to begin with. It starts with knowing who you are implicitly, being authentic to that and being it in everything you do and say–which leads to ownership of your space. Then, and only then, will social media actually be a useful tool. I think this is a very good article. But I agree with some other commenters that customer service is the best way to distinguish a brand. Besides having a stranglehold on the MP3 player market and enough slick industrial design in its computers to choke a horse, what really sets Apple apart is good customer service. Without it, Apple is an expensive Dell. Excellent article, although I think the example of McDonalds vs. Burger King does not take into account BK’s new strategy of focusing on their core customers by emphasizing huge hamburgers (double, triple and quadruple Whoppers). I think that for the first time in years BK is thinking less on the competition and more on its customers, which is the right thing to do strategically. What do you think about brands like Google buying companies left right and center – ad network DoubleClick, YouTube etc., jumping into the mobile phone operating system pool and trying to compete with Microsoft with similar products to the Office Suite? Linda, I believe Google is a different case, as it is already a leader on its segment. Anyway, maybe it is not a good strategy trying to compete with MS, specially on Office Suite, as you stated above. It IS sad that so many companies still don’t get it, that it’s neither size nor buying power in terms of advertising that make one’s sales register bulge. And yes, the TGIF element, although great to have and although effective it’s NOT a cure all. Because too many company head honchos STILL and probably always WILL think of any kind of social media as a SALES platform when it’s more about being social. Just wondering if tech seems to buck the trend, when a technology brand diversifies into, well, everything (another example is Amazon buying up companies like Zappos while also offering a fulfillment service, a payment processing product, web services, cloud computing, advertising networks etc.) Is it likely to suffer the same fate as more traditional businesses. Does “Bigger is not a marketing strategy” hold true with Google, Amazon, Adobe etc. Great article, I always enjoy your insight Al. Very good article and excellent comments. Social media is best undertaken after you have crafted a brand strategy based on differentiation, consistency and congruence. Social media is definitely not a cure for substandard branding. Nice post, great detail. I feel that companies need to use the TGIF to become a remarkable resource for a product and as Gary pointed out if you use it as a sales tool to put out ads your missing the point. TGIF is really just a better alternative marketing investment option with a greater upside than more traditional marketing efforts. All that said you still need an unstoppable product/service to market in the first place otherwise your choices won’t matter. Thought provoking post – You give some good examples of huge brands having similar problems (BK and Pespi) but given that 99% of companies (and profitable ones at that) are a fraction of their size and marketing power what can the smaller companies do? All of your arguments for better strategy still apply and this is why your post struck a chord with me. The basics: Marketing is about consumer focus (but at a profit) yet many of us become obsessed with the tools and tactics at our disposal we loose sight of why we’re ‘in the war’ as you put it. A great product and service comes first, not brand, not social media activity. I would like to know who coined the expression “word of finger”. I agree wholeheartedly with this post. I think a lot of people believe social media (TGIF) to be the end-all/be-all of marketing and consumer communication, and that just isn’t the case. Don’t get me wrong, I’m a BIG advocate for the usefulness of social media in a marketing campaign, but it’s a medium, not the strategy. Social media can give companies the ability to differentiate like never before in history and there lies its greatest strength. The biggest shift in recent years is to the idea that it is now a consumer-driven market and companies cannot simply “tell” people what to buy anymore, they must strive to actually connect with their consumers. Social media is a great way to connect if used correctly, but should always be thought of as a powerful tool and not the road-map itself. Can Social Media and other web-centric tools be used as a business strategy in itself? A way of differentiation, bringing uniqueness ; or operational efficiency (cost ledearship) ; or even a mix of the two? And on top of that, can Social Media act as a Brand’s energizer boosting and bringing it to a higher level of awareness? Yes, Social Media can be used as a business strategy by itself but most companies usually use it as part of their communications strategy. Social media is a way of engaging the customers, lowering advertising costs and generating ROI but to be successful in doing so you must monitor and analyze your efforts. And yes, social media can act as a brands energizer especially when a brand goes viral. Going viral can reinvent a brand overnight. The problem is coming up with idea’s to go viral, because it can be difficult. Hope this is helpful. Finally someone is telling the truth about why certain companies fail. It seems hard to believe a $100 million a year CEO couldn’t figure out you can’t compete with everyone but there it is. One other thing: Consumers like brands that are easy to understand. Redbox = $1 video, 1 day. In-and-Out: Double-double. Simplify, simplify, simplify. Are Brands Pushing For Too Much Commitment?